I have a full month of summer holiday left, and I refuse to even make eye contact with the back to school aisles in the stores. But for a picture book ... 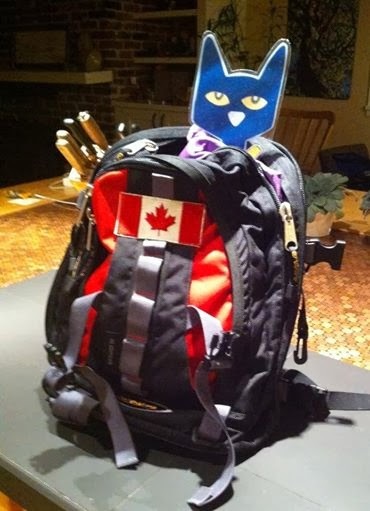 I'll talk back to school. 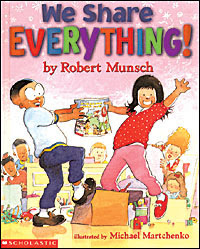 One of my favourite back to school books is We Share Everything by Robert Munsch. Click the the book cover to listen to Robert Munsch tell the story. It is written in typical Robert Munsch style with good fun, plenty of repetition, good rhythm and an ending where the kids come out on top. On the first day of kindergarten, Amanda and Jeremiah want to play with the same toys and do the same activities at the same time. But the strategies that they use at home to commandeer toys don't work in kindergarten. 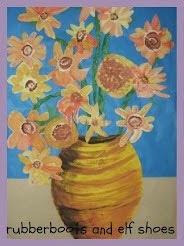 The teacher, and even the other children, encourage them to share - and they do - with a twist. The book leads nicely into a discussion about sharing and friendship - always good discussions to have at the beginning of kindergarten! Click on the picture to go to the Canadian Children's Book Centre's page for We Share Everything to download a paper friendship bracelet. 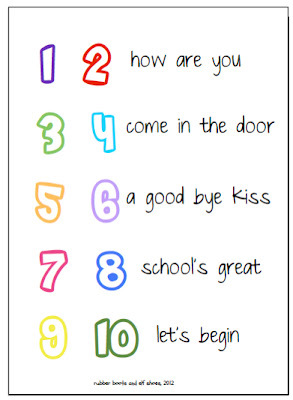 Here is a poem printable to welcome your kids and and the new school year. Click on the graphic for a free download from google drive. I purposefully keep a lot of white space on the papers that I give my kidlets to read. I try to add something to hook their attention, but not too much to distract them from their task - to look at the words. I love Munsch books--so fun! I am your newest follower--I would love to have you come by and visit! Thank you so much for sharing We Share Everything! Thanks too for sharing the link to the website and the activities! I"m so glad you braved the thought of school and linked up. I Love Robert Munsch! He is hysterical and a great model for voice! 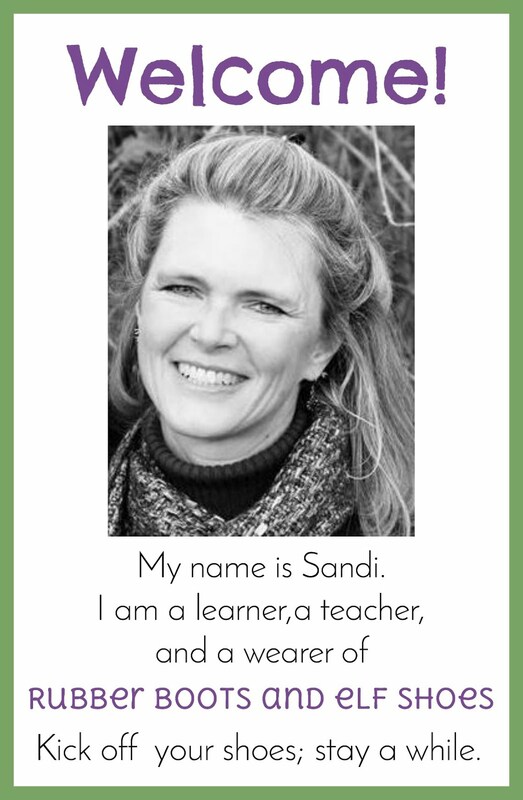 Thanks for linking up your poem, Sandi! It's simple, sweet and perfect. What a great poem and we will be checking out that book this year! Thank you for sharing at Sharing Saturday!